Police pursued suspected thieves along the A23 from Brighton into Surrey after a bike was stolen and put in a van. Three people have been arrested after the bicycle was taken from Preston Park, Brighton. A police statement says that the bike was placed in the van in Stanford Avenue, near the park, at 9.15pm on Thursday (January 25) by thieves who then drove up the A23 towards London. Officers followed the vehicle and it was eventually stopped in Mitcham, Surrey. 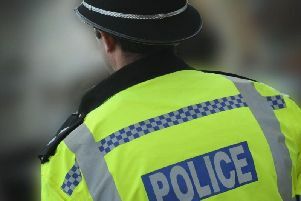 A 51-year-old man, a 24-year-old man and a 15-year-old boy were all arrested on suspicion of theft. They have been released under investigation. Anyone with information about bike thefts in Brighton and Hove should contact police online or call 101 quoting Operation Ensnare. If you see a crime in action dial 999.